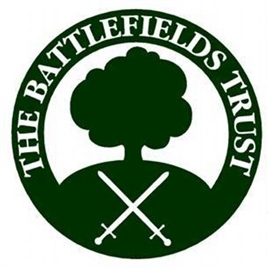 At the 2015 AGM Frank Baldwin, Chair of the Battlefields Trust, and Peter Burley, Trustee, National Coordinator and Board Secretary, stood down from their respective roles. Frank has been involved with the Trust for many years, the last six as Chairman and has contributed enormously over the his time, well above and beyond what could be reasonably expected. Similarly, Peter has made a huge contribution to the workings of the Board, perhaps more behind the scenes, but equally vital to the smooth running of the Trust. Both will be missed by the other Trustees and by many others who have come across them through the years. We hope that both will continue their engagement with and passion for the work of the Trust for many years to come. Their contribution to ensuring that the Trust has met its aims of preserving, interpreting and presenting battlefields as historical and educational resources has been vital, in particular with the introduction of the Development Officer role, negotiated with English Heritage (now Historic England) and linked to the Registered Battlefields at Risk programme. As a consequence of Frank and Peter's decisions to stand down and following the outcome of a year long review of how the Trust is governed, a new Chair will be elected by the Board at its next meeting on 4 July 2015. A New Board Secretary should be confirmed at the same meeting. In the meantime, the Trust's founder and current Vice-Chairman, Kelvin Van Hasselt, has been undertaking the duties of the Chair.